Note: To see how it works you can also see my previous post where I have done a tutorial video on eye makeup and have used this product for the under eye area. This section pertains to its reviews only. My Mac's BlackTrack Fluid line dried out and so I was on a search for something new. I did not bother to repurchase it again even though it was my absolute favorite because there is no assurance that it wouldn’t dry again. 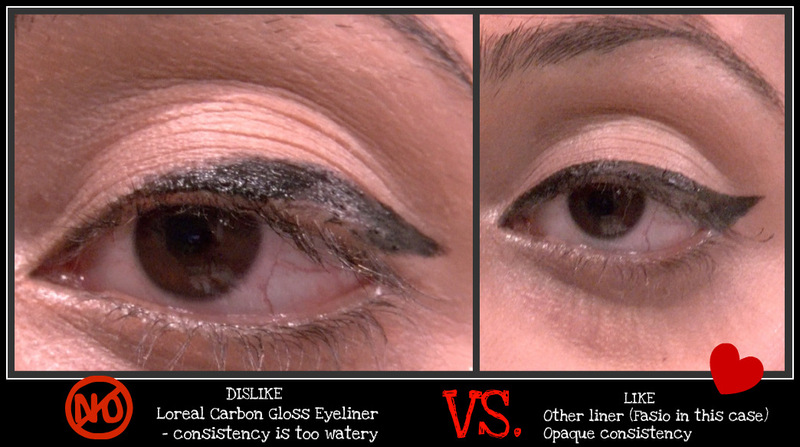 I bought L'Oreal Super Liner Carbon Gloss as a replacement at almost half the cost. When I used it to my disappointment it turned out to be of watery consistency as you can see. It is in no way intense or glossy or super. I kept stroking the applicator again and again to get an opaque finish but my efforts went vain. It was too watery for the liner to just settle on my eyes. I removed it and put the other eyeliner I had. In the picture below you will be able to see such an obvious difference in their consistencies. The L'Oreal Carbon Gloss seemed like this despite repeated strokes whereas my other eyeliner looks so opaque and nice in a single stroke. 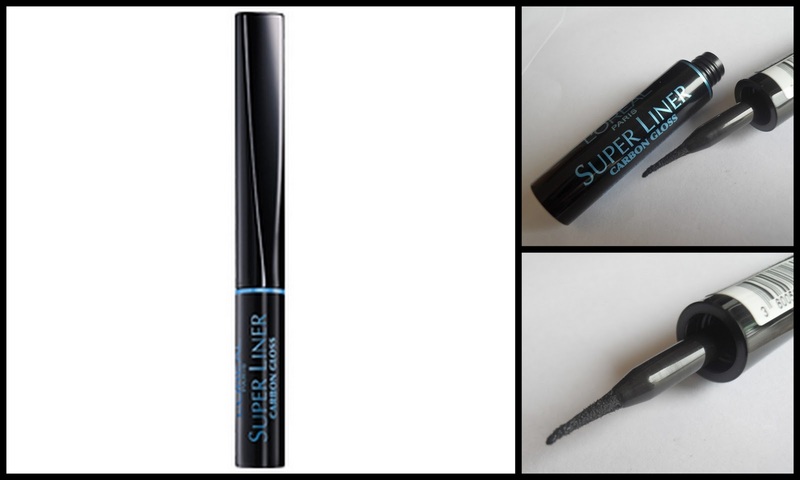 I would probably buy it again just to use for my under eye unless I find another smudge proof liner with the similar applicator which has a better consistency. You're supposed to shake it before use, it has a thing like many nailpolishes where you must shake before use or it will be watery.